Auckland, New Zealand: We're looking for our first gravel podium this weekend in New Zealand. After proving his pace by taking six fastest stage times in the newly upgrade MINI John Cooper Works WRC in Portugal we believe that Dani can challenge for the podium on the gravel stages of New Zealand. While Dani has not competed in the WRC in the MINI since Portugal he stood in for the injured Jari Latvala and drove the Fo...rd Fiesta WRC in Rally Argentina. If it wasn’t for an electrical fault on the final powerstage he would have taken his second podium of the year. However, just two weeks later he gave the new MINI its first major international event win by winning the Tour de Corse in the Intercontinental Rally Challenge. 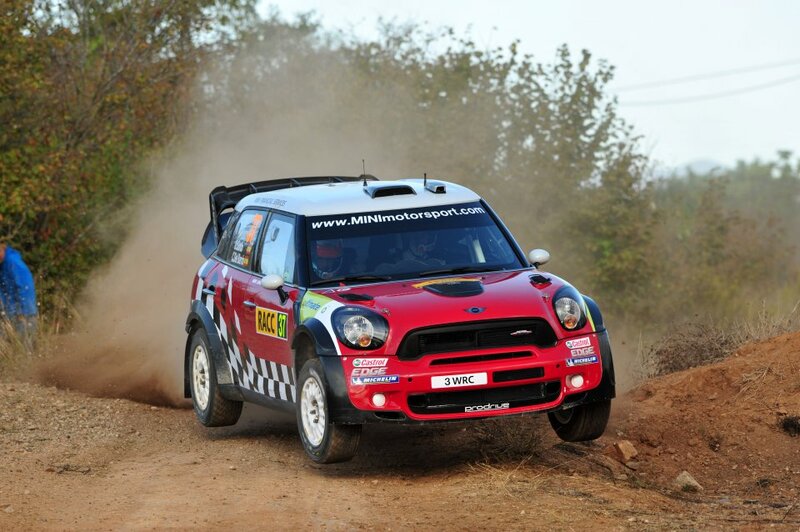 This time, Sordo was driving the tarmac specification MINI John Cooper Works S2000. It is 40 years since a 1275 GT Mini Clubman won the 1972 Heatway International Motor rally in New Zealand, driven by Scotsman Andrew Cowan. The small car headed home the factory backed Toyota team as well as a group of BMWs, Ford Escorts and Holden Torana XU1 competitors. As in Monte Carlo eight years earlier it was the 95 bhp Minis agility which overcame the more powerful competition.